At Algo Más, we’re big supporters of the entrepreneurial community in South Australia. We relish the opportunity to roll up our sleeves and put the creative hats on to help start-ups craft their brand. 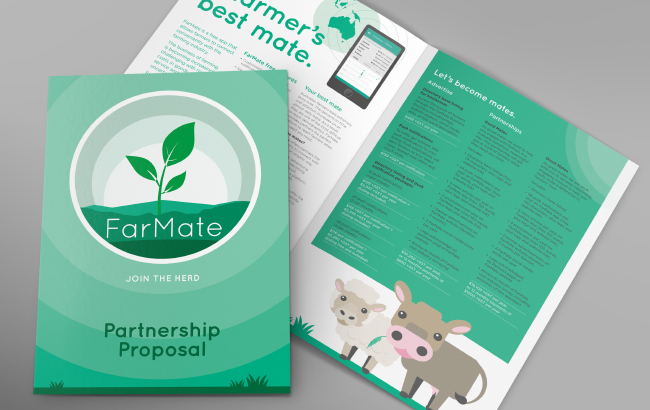 One recent project we’ve been working on is with our friends at, FarMate. 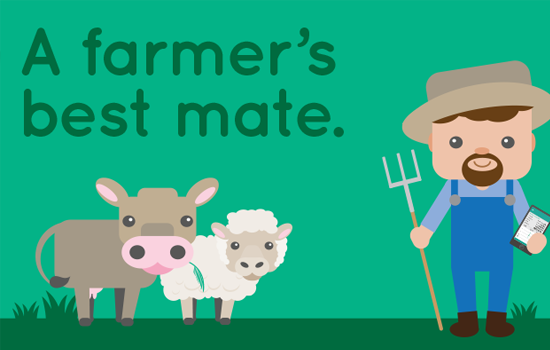 FarMate is a new, free app that allows farmers to connect conveniently with the farming industry. The business of farming is becoming increasingly challenging with rising costs in goods and service and continual uncertainty in the market. 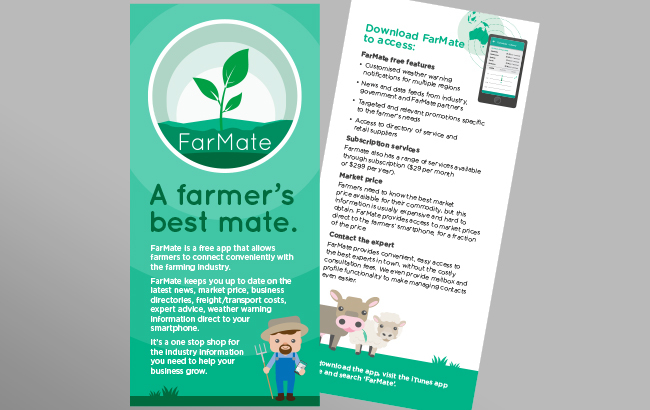 FarMate keeps farmers up to date on the latest news, market price, business directories, freight/transport costs, expert advice, weather warning information and that once in a lifetime sale they can’t afford to miss direct to their smartphone. Also Más helped FarMate shape their brand through developing key messages, a sponsorship brochure and marketing collateral. Check them out here.